In spite of the Azzurri team coming up short of gold medals at the Road World Championships in Innsbruck, Italy still found some very good reasons to celebrate in Tyrol. 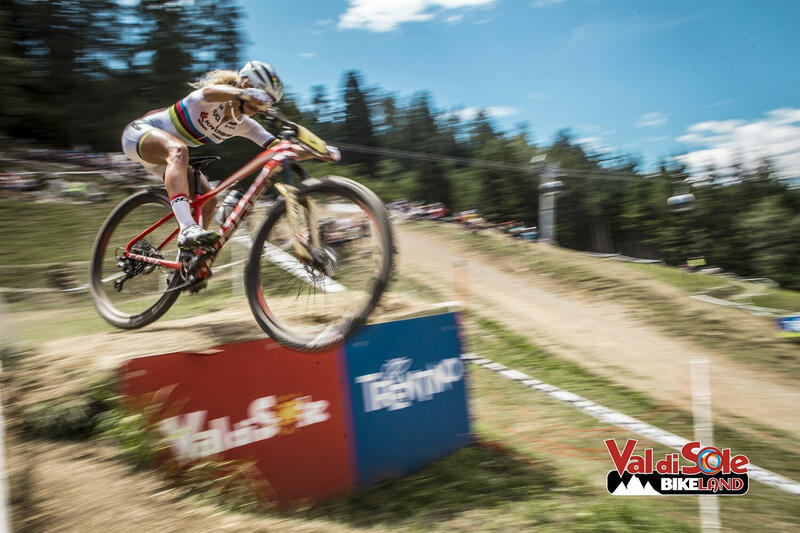 Val di Sole, the Italian mecca of Mountain Biking, is warming up for a breathtaking three-year rainbow period, as the 2019, 2020 and 2021 4Cross World Championships and - above all - the 2021 MTB (Cross Country and Downhill) World Championships are all headed to Trentino. The Union Cycliste Internationale (UCI) made the official announcement during the Innsbruck World Championships, at the presence of President David Lappartient.. 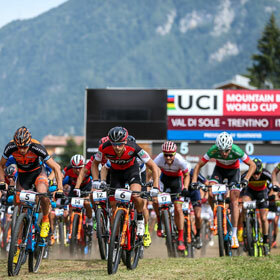 The rainbow events come to join the now-traditional UCI MTB World Cup stage in Daolasa di Commezzadura (Trentino): among the most cherished races by both the Cross Country and Downhill specialists, the Val di Sole stage has been confirmed in the 2019 and 2020 (World Cup finals) calendar, leading up to the World Championships in 2021. 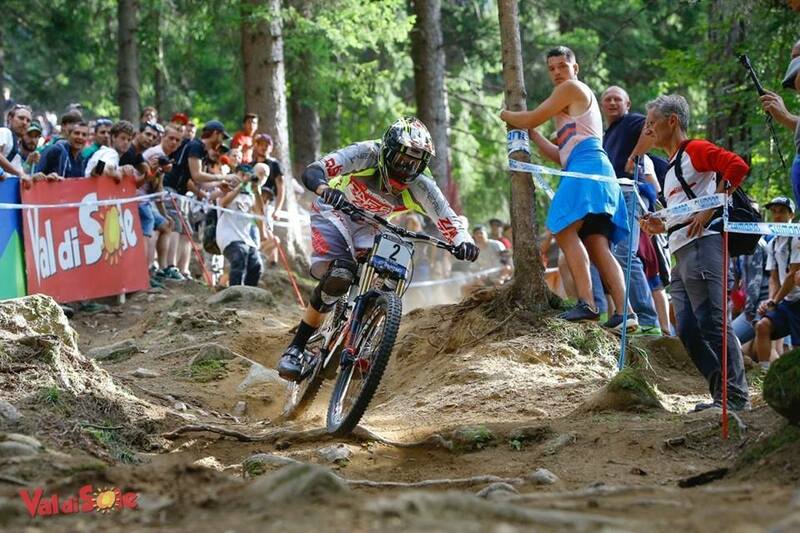 An intense three-year period, and an even more spectacular one for Val di Sole Bike Land, once again in the limelight of World Mountain Biking. 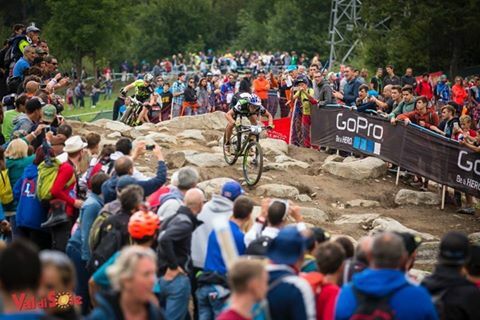 The racing location will be, as usual, Daolasa di Commezzadura, the Italian home of mountain biking since Val di Sole debuted in the top-end MTB sport by hosting the 2008 World Championships, an experience later repeated in 2016. A huge satisfaction for the Val di Sole’s committee invited to the UCI World Championships Awards Ceremony in Innsbruck, with Val di Sole Tourism Board Director Fabio Sacco, the head of “Grandi Eventi” organizing company, Patrizia Daldoss, and Secretary General Luana Callegari receiving the rainbow jersey along with Italian Cycling Federation President Renato di Rocco. The World Championships’ comeback to Val di Sole comes at a very good time of Italian MTB, with the rise of Gerhard Kerschbaumer and Luca Braidot, as well as the progression of youngsters Gioele Bertolini and Nadir Colledani, and the explosion of 19-year-old Marika Tovo bode well for the Italian colors in the upcoming rainbow chance in their home land. 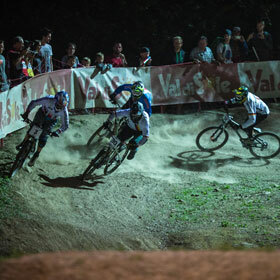 “The rise of our movement has a lot to do with Val di Sole, and the intense collaboration started in 2008, creating the conditions to create the federal offroad center. 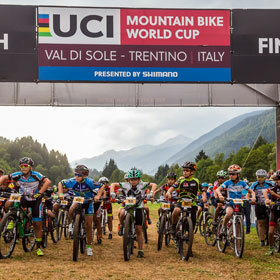 We are ready for another important three-year period: staging high-level events for so many years has established Val di Sole as a reference for offroad, and will contribute to bringing us even higher, while also providing a remarkable contribution to the territorial promotion,” told Renato di Rocco, Italian Cycling Federation President.